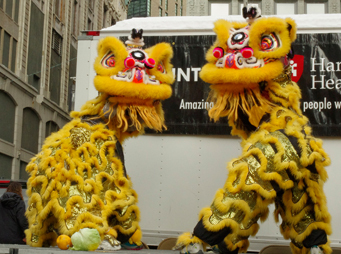 Gund Kwok, the only Asian Women Lion & Dragon Dance Troupe in the United States, was established in February of 1998 to give Asian women an opportunity to express their creativity, power and strength through performing the lion and dragon dances. 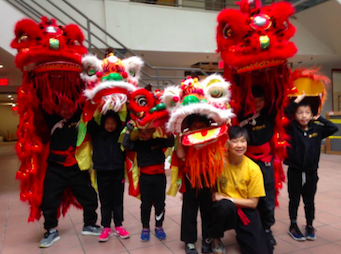 We offer classes in Lion Dance and Dragon Dance year round. 10-week Lion Dance Trial Class, FREE Dragon Dance Class, and 6-Week Children's Lion Dance Class are all available. Gund Kwok performs year-round for special functions, events, weddings, birthdays, festivals, and more. Membership is open to all Asian women who have graduated from the ten-week trial class and who are willing to make the commitment to meet troupe requirements. Gund Kwok offers a unique opportunity for all Asian women to learn and experience lion and dragon dance in a supportive environment. Interested in learning Dragon and Lion Dance? Join our 8 Week Adult Trial Class - Next Trial class will start on Thursday, March 14, 2019! We offer a 4 week Trial Class for children of Asian heritage, ages 6 to 12 years old. Registration is closed for this session but stay tuned for our next, coming in Spring 2019. Join our 8 Week Adult Trial Class – Next Trial class will start on Thursday, March 14, 2019 from 6:30-8:30! Gund Kwok performs year-round for special functions, events, weddings, birthdays, festivals, etc. 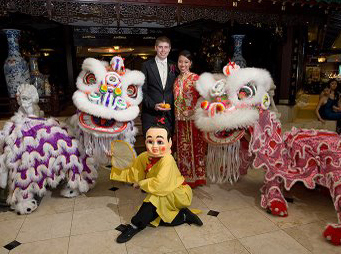 Based in Boston, MA USA, we can perform lion dance and/or dragon dance on evenings & weekends. Please contact us 4 weeks in advance to reserve the Troupe!